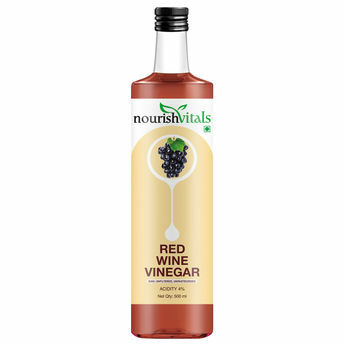 Nourish Vitals Red Wine Vinegar is pure and has the goodness of 'mother' of vinegar that lends it a cloudy look, but is an affirmation of high quality unprocessed vinegar. It is raw, unfiltered, undiluted and unpasteurized. It is obtained by the natural fermentation of red grapes. Beyond the trace amounts of certain nutrients, red wine vinegar offers a variety of other potential health benefits. The color of the product is lighter as compared to other brands as this Product is made from pure fruit juice and not concentrates. Further this vinegar does not uses citric acid / synthetics to ferment and neither does it contains any added colors or preservatives. Additional Information: Nourish Vitals is known for offering organic, healthy food products, which are a boon to your fitness and immunity. 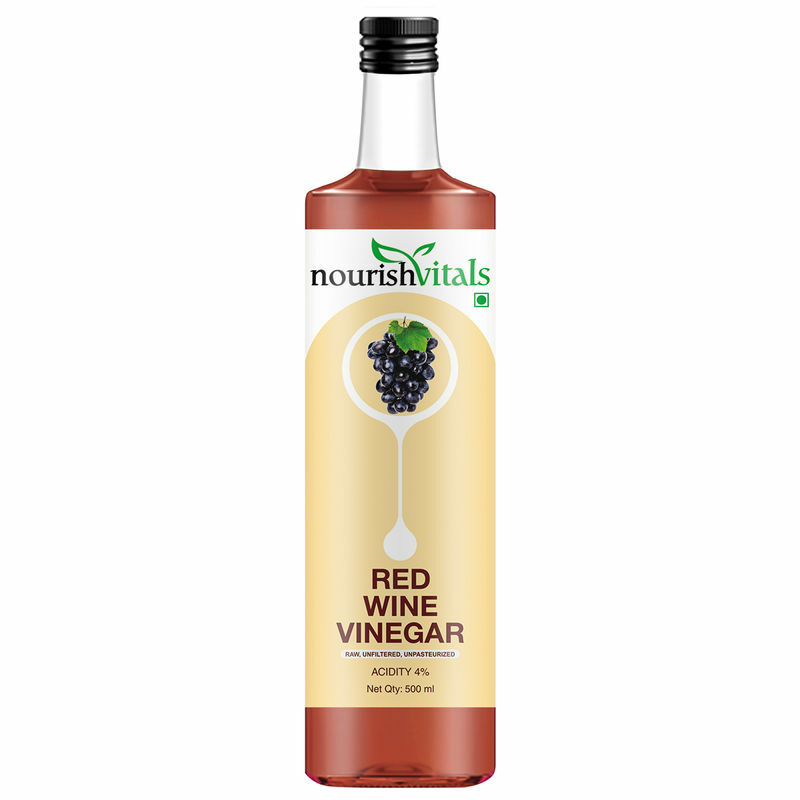 Say good bye to your weight issues with NourishVitals Red Wine Vinegar, 500ml - Raw, Unfiltered & Undiluted.